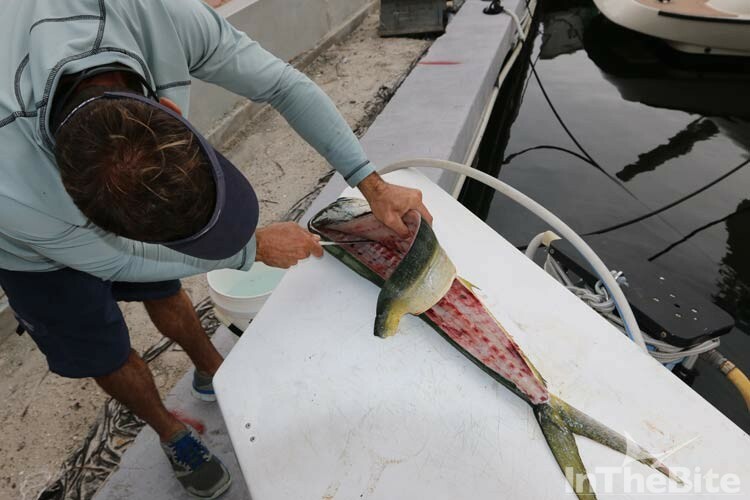 Basically you need to leave skin on your fillets when transporting fish back to Florida from the Bahamas. Read below. The final rule implementing Amendment 7 to the Fishery Management Plan for the Dolphin Wahoo Fishery of the Atlantic and Amendment 33 to the Fishery Management Plan for the Snapper-Grouper Fishery of the South Atlantic Region (Dolphin Wahoo Amendment 7 and Snapper-Grouper Amendment 33) published on December 28, 2015 (80 FR 80686). Regulations will be effective on January 27, 2016. The management measures in Dolphin Wahoo Amendment 7 and Snapper-Grouper Amendment 33 address dolphin, wahoo, and snapper-grouper species lawfully harvested by recreational fishers in The Bahamas and brought into the U.S. federal waters. • Allow recreational fishermen to bring fillets of dolphin and wahoo from The Bahamas into the U.S. federal waters and update regulations that currently allow recreational fishermen to bring snapper-grouper fillets from The Bahamas into the U.S. federal waters. • Specify two fillets are equivalent to one fish for dolphin, wahoo, and snapper-grouper species brought into the U.S. federal waters from The Bahamas. • Require fishers to retain skin on the entire fillet of dolphin, wahoo, and snapper-grouper species. • Require fishing gear to be stowed while transiting the U.S. federal waters from The Bahamas. A vessel carrying fillets of dolphin, wahoo, or snapper-grouper species lawfully harvested in Bahamian waters would not be allowed to stop in the U.S. federal waters during the transit. • Require stamped and dated passports, as well as valid current Bahamian cruising and fishing permits to prove that the recreational fishers were in The Bahamas. • Not allow recreationally caught dolphin, wahoo, or snapper-grouper from The Bahamas to be sold or purchased in the U.S.
• Not exempt recreational fishermen from any other Federal fishing regulations such as fishing seasons, recreational bag limits, size limits, and prohibited species. For more information on the final rule for Dolphin Wahoo Amendment 7 and Snapper-Grouper Amendment 33, please follow this link to the Frequently Asked Questions. This announcement is forwarded as a courtesy of the South Atlantic Fishery Management Council. Relevant copies are also posted on the Council’s website at www.safmc.net.